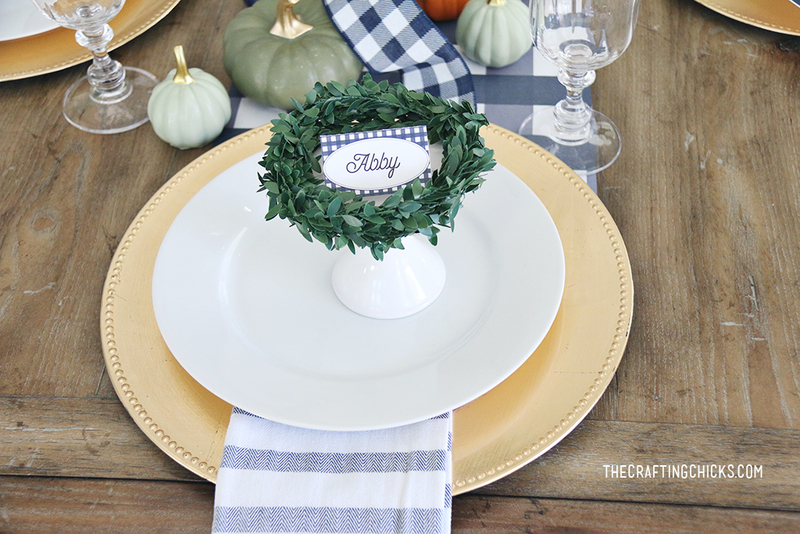 Create beautiful Thanksgiving Place Settings for family and friends this holiday. 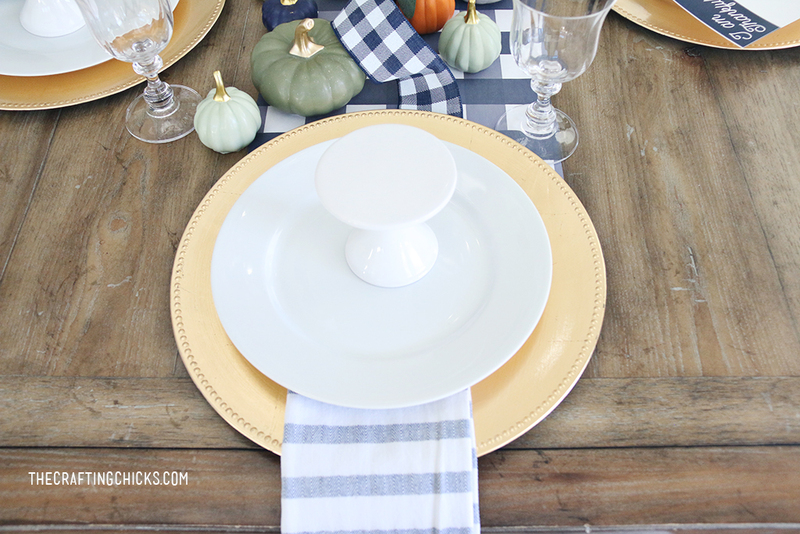 We love creating beautiful tablescapes and a gorgeous Thanksgiving table can be easy to create. 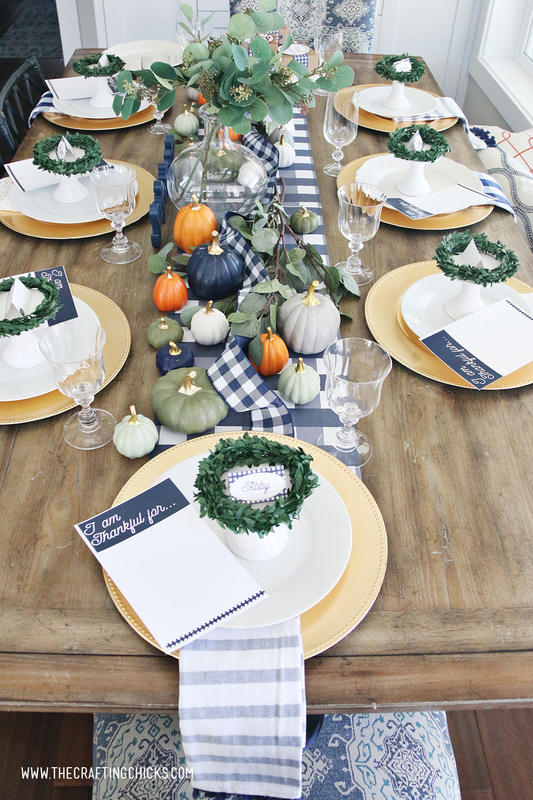 We have a few fun tips to take your table to the next level for Thanksgiving. Guests will love the special added touches. 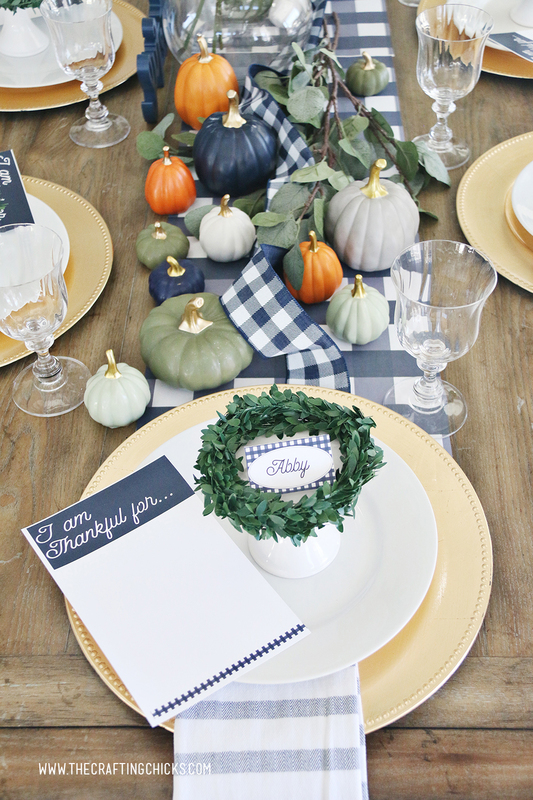 Start with grabbing our Gorgeous Thanksgiving Printables for your Table. 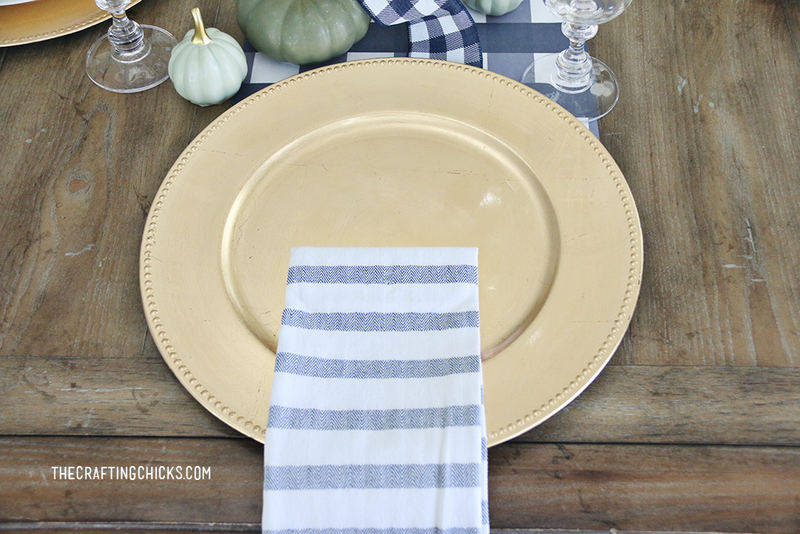 This Navy Plaid will create a pretty backdrop for you dishes and glassware. 1-Begin with a gold or silver plate charger. Add a pretty linen napkin folded on top of the charger. 2-Place a white plate on top of the patterned napkin. 3-Add a cupcake stand to the top of the white dinner plate. 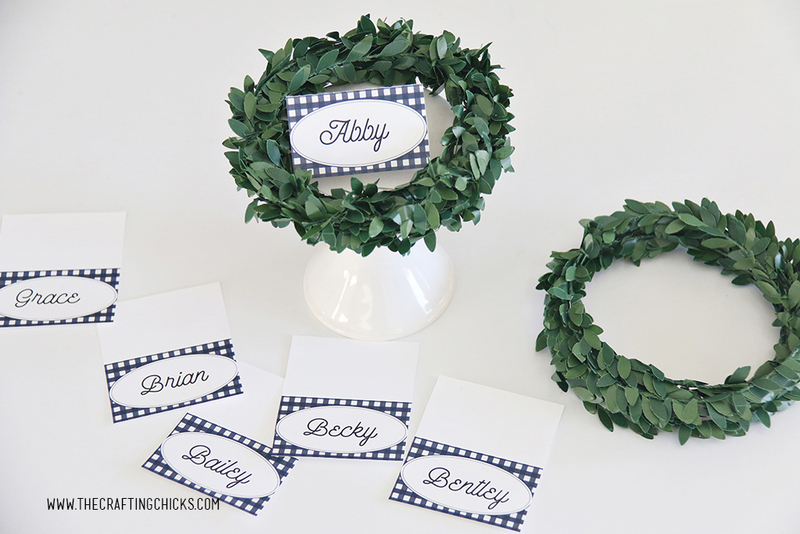 4-Add a green wreath to the top of the cupcake stand. 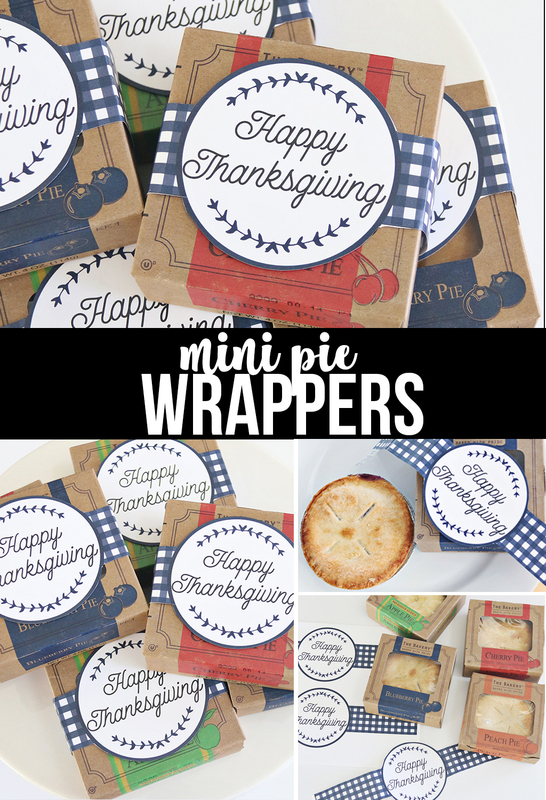 5-Add mini Thanksgiving Place Cards inside the wreath on top of the cupcake stand. 6-Top off with adorable “I Am Thankful For” Sheets. 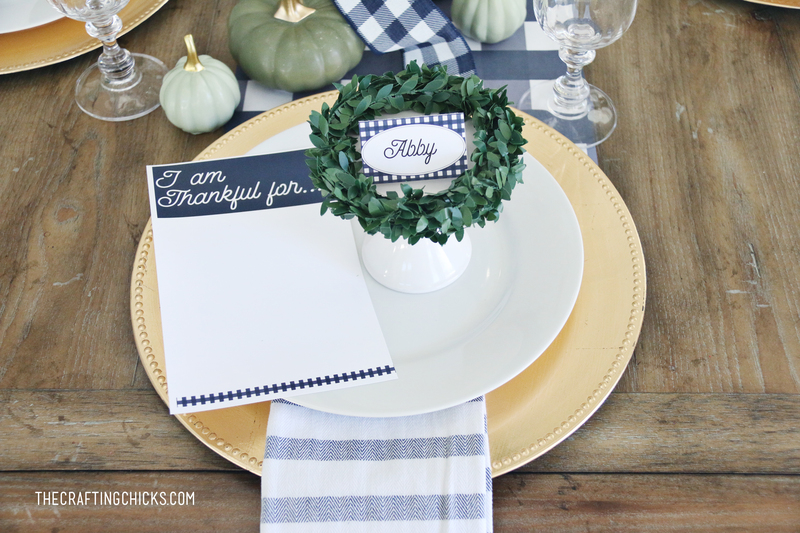 Let family and friends share what they are thankful for at the table. 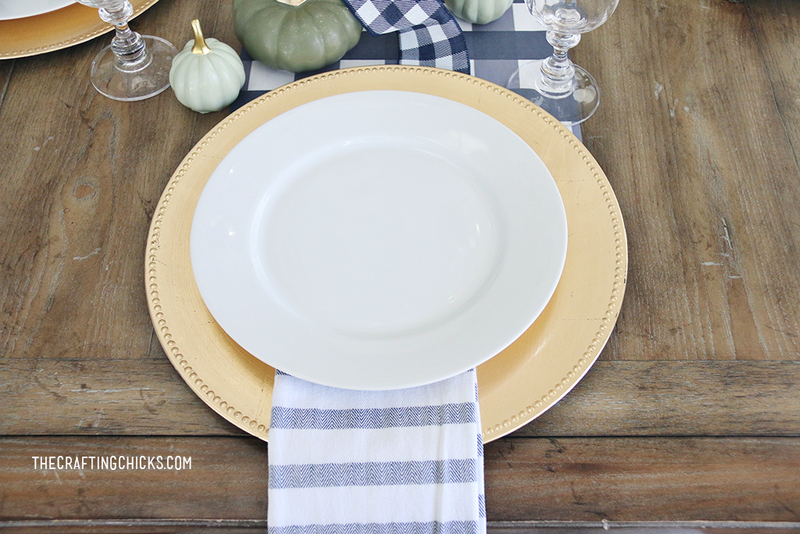 Check out other Thanksgiving Plaid Table Decor.